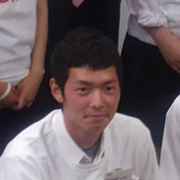 Ryo Serizawa was a second-year student at Iwaki High School in Fukushima prefecture when he participated in the TOMODACHI Summer 2012 Softbank Leadership Program at the University of California, Berkeley. The program focused on global leadership development and community service. My name is Ryo Serizawa. I’m from Iwaki Fukushima in Japan. I like to play sports, especially soccer! I would rather play sports than read books! I like to study English! I want to be able to communicate with people around the world. I live in a place that is known throughout the world due to the Great East Japan earthquake and nuclear accident. My father is an employee of Tokyo Electric Power Company, and even now, he is working very hard to address the accident at the Dai-ichi Nuclear Power Plant. Even my father says that they never thought this type of huge accident was possible. I now feel that we need to change over from this enormous source of nuclear energy to next generation energy. Fukushima is currently an area that people can move back into, and there have been small but visible progress in preparation for putting people’s lives back in order. However, there are many other problems such as decontamination efforts, infrastructure development, and the disposal of rubble. As a person involved in regenerating Fukushima prefecture, I would like to promise the world that we will rebuild Fukushima. The biggest thing that I got out of the TOMODACHI Summer 2012 Softbank Leadership Program was that it expanded by horizons. Until now, I was only able to see what is right before my eyes, but through this program my perspective has expanded infinitely. Through discussions with people of different nationalities, I was able to experience the difference in cultures and opinions first hand. I have learned that leadership is not just an opinion that you force on people. What is important is the ability to share ideas, discuss different opinions, and develop thoughts while supporting each other, then bringing it all together and leading people to a solution. From now on, I will not think about what is beneficial or not, but think about the other person’s view. With this broader perspective, sense of accomplishment, and keen insight I will walk into the future world of “TOMODACHI” with my peers. Finally, I would like to thank everyone who organized the TOMODACHI program for their time, dedication, and hard work to make this program a success. Thank you!